Congratulations! You’re engaged! Or maybe you are thinking of popping the question on Valentine’s day? Many couples celebrate their engagement by having a party, and yes, any excuse for a party is a good one! However there are some other really good reasons to hold an engagement party. 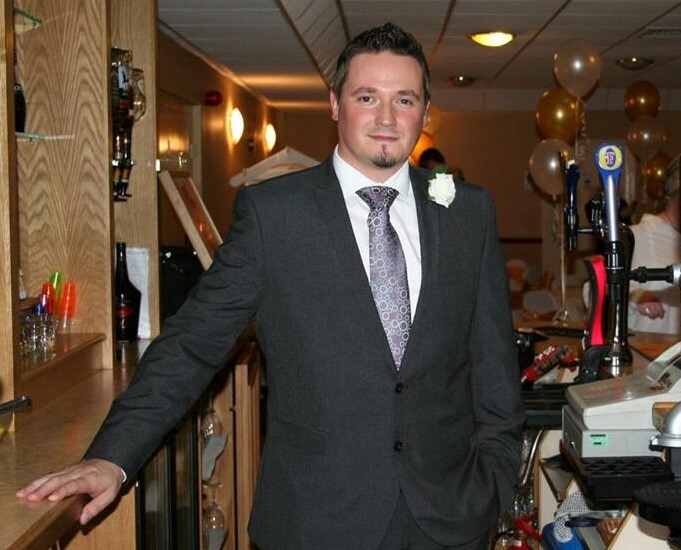 Firstly it’s a really good opportunity to introduce different groups of people before your big day. Maybe you have groups of friends who have never met, maybe your family hasn’t met your partner’s family. A social gathering like an engagement party is an ideal chance for everyone to meet before the big day. If you have family members that maybe don’t get along, or step parents to consider, having the party on neutral ground like a function venue, rather than a family member’s house can ease tensions. A party is also great way to share your good news and means everyone has the opportunity to see you face-to-face to congratulate you both. Throwing a party is a great way to make a surprise announcement about your engagement. Planning your wedding may be the first time you have had to plan such a large event and it can seem a little daunting. So planning an engagement party first, sending invitations, finding a venue, planning decorations for your venue and arranging entertainment & catering provides a really good dry run, without the pressures associated with planning a wedding. It’s a good chance to speak to suppliers and venues not only for your engagement party, but also looking ahead to planning your wedding day too. Don’t be afraid to use this to your advantage – ask your venue if they would offer you a discount if you agree hold your wedding there too! Planning an engagement party is also a good experience for working within a budget – be firm with yourself, decide what you can realistically afford to spend on the party, bearing in mind you need to save for your wedding, and then be sure to stick to it. Traditionally the bride’s parents throw the engagement party, however do keep an eye on the budget if they offer to pay for this and then the entire wedding too! Look out for venues that offer reduced engagement party packages that include all the extras. There are traditions around holding engagement parties, but as with weddings, many couples opt for something more personal to themselves or their lifestyles, rather than opting for a conventional event. If the bride-to-be’s father is the host of a party, he may decide to make a short and informal speech and toast the couple. If you are planning a themed wedding, maybe something fun or a little different or unexpected, you may wish to include ideas or even teasers for the wedding theme at the engagement party, this will help you see how many friends and family would be willing to join in the fun or maybe even dress up. Consider how you will be decorating your venue. You can get lots of impact for not much cash with a little imagination. For example table confetti & sprinkles in your colour theme cost pennies from eBay. Homemade table centre pieces can be made from decorated jam jars or charity shop vases, just pop in a tea light! A chalkboard at the entrance is a nice touch with the milestones of your relationship so far, the date you met, when your partner popped the question, birth dates of any children and of course the date of the big day if you’ve already decided on this too. 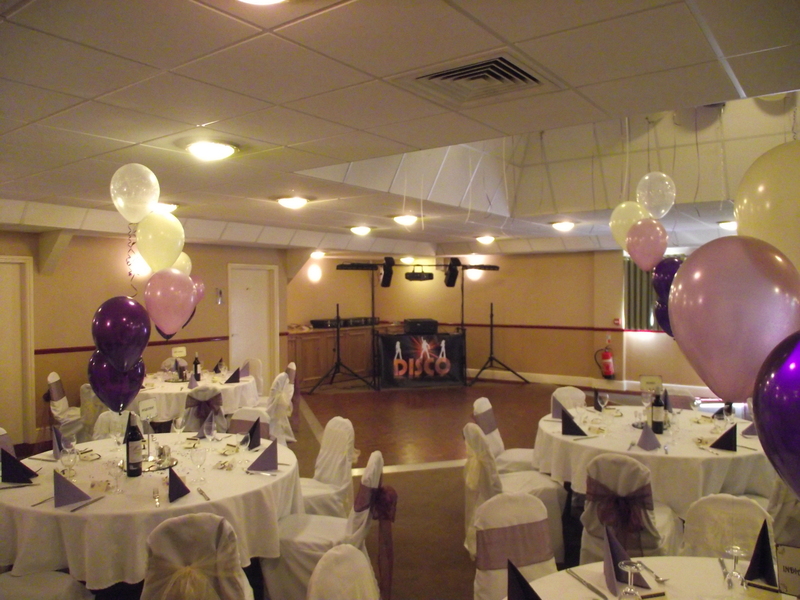 If you would like professional decorations for your venue ask the function team there about balloon decorations and chair covers with sashes, all in a coordinated colour scheme. Some venues may even offer colour co-ordinated lighting! Do consider sending out invitations for your party and ask for RSVP’s – you will need to know how many guests you are catering for, and if you are using a function venue they will want to help you keep your costs within your budget and not cater and charge you for guests that are not coming. Invitations ideally should go out around one to two months in advance and traditionally if the bride’s parents are hosting the party, then the invites should come from them and be returned two weeks before the date so that you can inform your venue of numbers. On your invitations it is also worth considering putting a brief note about presents. Many guests maybe unsure as to whether they are expected to bring a gift, bearing in mind you will most likely be inviting them to your wedding when a gift is expected, you may want to mention that a present is not expected. Those nearest and dearest to you will probably want to buy you a gift anyway, but you don’t want other guests to feel uncomfortable. Don’t feel you have to invite everyone who is on the wedding guest list. Usually the engagement party invitation list consists of closer friends and family. However think carefully if you are thinking about inviting someone who you will not be inviting to your wedding as this could cause upset. Most couples have an evening party with a buffet or hog roast with a disco for entertainment. However if you are planning a party in the summer and would like to invite lots of children, or elderly relatives who may not want to be out too late, but whom you want to share your news with, maybe find a venue that can accommodate a daytime booking. 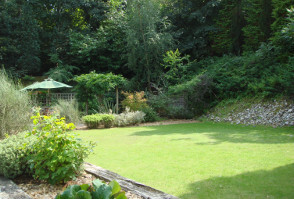 Afternoon Tea with homemade cakes and scones at a venue that has a garden where the children can let off steam and maybe enjoy a bouncy castle makes for a lovely informal family-friendly event. 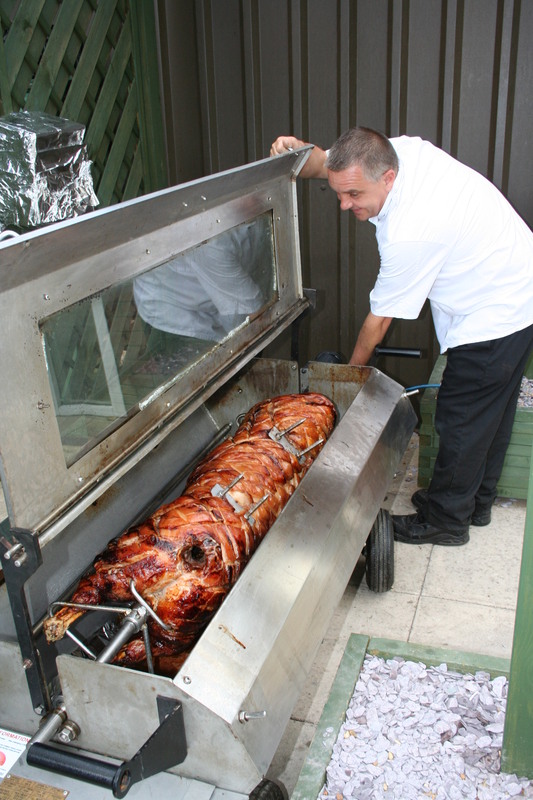 Many couples opt for an informal buffet or hog roast where guests can mingle and enjoy the food. However if your budget is tight consider hiring a venue on a room hire only basis and provide simple food yourself like pre-packed supermarket crisps and snacks. If you have a family member in a catering profession maybe they could help with the food. Alternatively opt for something fun like having a chip or burger van outside! A great idea if you are also planning a more informal wedding. If you are taking a budget conscious approach, rather than hiring a DJ and disco, why don’t you and your partner decide to take charge of the music? You can use your phone or mp3 player to construct perfect and personal playlists. Ask your venue if they have facilities available to play your own music. Hiring a venue with a bar helps with costs too as you won’t need to supply the drinks and your guests will be able to get their favourite tipple without you having to worry about providing everyone’s favourites.